Te Urewera has a real Jurassic Park feel to it. That’s helped by being the largest native forest left in New Zealand. Even the areas of moss-covered trees have been nicknamed “Goblin Forest”. Te Urewera is nestled between the North Island regions of Hawke’s Bay, Bay of Plenty and Gisborne. Basically, it’s likely that you’ll have heaps of opportunities to dabble into the forest park, whether it’s for a Great Walk or to check out the gargantuan lake in a stunning forest setting. Amongst the ancient forest you’ll find many Kodak moments from trickling streams to huge waterfalls. In the centre of it all is Lake Waikaremoana, formed 2200 years ago by a huge landslide. Today, you can enjoy it for its kayaking, swimming and generally stunning view of “the sea of rippling waters”, as named by the Maori. Take a “sweet as” Great Walk: the Waikaremoana Track! See a series of stunning waterfalls that are easy to access from the road – there’s heaps! Get a photo of Korokoro Falls, only seen if you do the Great Walk. Wander in the dense forest, over landslips, and to incredible views in the park’s short walks. There’s much to see around the perimeters of Lake Waikaremoana. So much so that it has earned the status of being a New Zealand Great Walk. It might be because of the forest with its magical waterfalls or the impressive view over the lake from Panekire Bluff. Bring your togs (swimwear), so you can take a dip in the lake. It takes around 3-4 days to complete the track. Start the track either from Onepoto or Hopuruahine. For more information on the Great Walks, check out: Guide to the 9 Great Walks of New Zealand. Some of New Zealand’s most stunning waterfalls are in Te Urewera. They are easily accessible by taking some short walks to them (or taking the Great Walk mentioned above). Start on the Hinerau Track near the Aniwania visitor centre. There are 3 waterfalls to gaze upon along this walk: Bridal Veil Falls, Momahaki Fall and Aniwania Falls. You can’t visit the Aniwania Falls without seeing the Papakorito Falls! Just 2km further down the road from the visitor centre is the magnificent 20m waterfall. The mascot for Te Urewera sums up the best aspects of the park: the luscious native forest with a 22 metre high waterfall nestled in the middle. To see the falls, you can travel over Lake Waikaremoana by boat or take the Great Walk for about 53km. No need to over-exert yourself in Te Urewera; take a short walk. See the Te Urewera’s smaller lake with its clear waters surrounded by dense forest. Walk through the beech tree forest until you get to a viewing platform over the lake. The start of the walk is about 200m from the visitor centre on the way to Rotorua. This walk is not so short, as it takes up to 6 hours to complete. Nevertheless, the Ruapani Circuit is a great way to explore the luscious green forest. Feel completely disconnected from the world as you wander through the trees until an opening finally gives you a view of Lake Waikaremoana, Panekire Bluff and even Hawke’s Bay. Do the Lake Waitareiti Walk to get to this circuit. It comes to no surprise that this track leads to a view. The lookout allows you to see over Lake Waikaremoana to Panekire Bluff. The climb uphill is an interesting one too with large boulders and bluffs created by a massive landslide that created Lake Waikaremoana. The 45min return walk is accessed 9km along the road from the visitor centre heading toward Wairoa. A lake as big as Lake Waikaremoana needs to be explored by kayak! Waikaremoana Holiday Park hire fishing rods and sell fishing licenses if you wish to fish for brown and rainbow trout. Swim and relax at Whatapo Bay. Hunt for deer and pig. Remember you must have a permit. Visit the Aniwaniwa Visitor Centre and Museum to get a better understanding of the area. 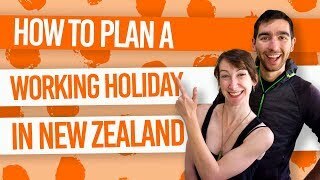 Where to stay near Te Urewera National Park? 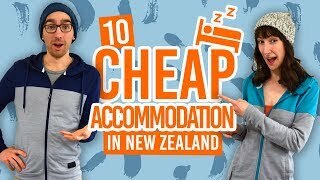 More budget accommodation to base yourself in can be found in Accommodation Guide to Napier and Accommodation Guide to Tauranga.